Once you see the stars twinkling above, it’s clear that dinners are best enjoyed out in the open. Whether on a veranda lit by sparkling lights, a laid-back lounge filled with sultry tunes or a balcony where boisterous behavior is encouraged, we’ve found a few places to enjoy the great outdoors, cocktail in hand of course. 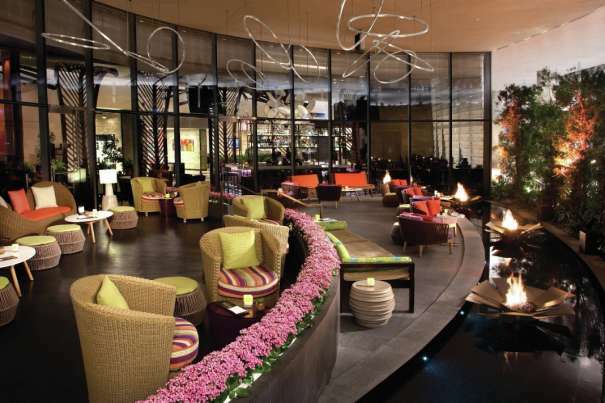 At LAGO by Julian Serrano you’ll find a mixology program that takes cocktail enthusiasts into tantalizing territory. There’s also a veranda with spectacular views of the resort’s iconic Fountains. Pair these with a few small plates from Chef Julian Serrano and you have the ingredients for a sophisticated soirée. DON’T MISS: The wine menu. With 750 bottles including sought-after labels, hard-to-find small production Italian varietals and a large collection of wines from California and Oregon as well as two sommeliers, grape lovers are sure to find the perfect pairing. Looking for an oasis in the desert? The Vegas outpost of the Southern California born-and-bred Herringbone is it. The spacious patio is situated poolside and captures the elements of coastal cool: cozy, covered cabanas, low-slung couches, a sea-inspired palette and verdant landscaping. Rotating DJs play a wide range of music nightly to keep the vibe going into the wee hours. DON’T MISS: The seasonally focused cocktail program. Enjoy the outdoors with Just About Pearfect, made with vodka, Asian pear purée, spiced pear, simple syrup and lemon. If a laid-back lounge is your ideal hot spot, VICE VERSA is for you. Stylish yet comfortable, the outdoor space is well-suited for social gatherings or smaller pairings of two. Imbibe handcrafted cocktails and watch the glow of the fire pits ripple across the reflecting pool. DON’T MISS: Both sides of the menu. VICE offers up a slightly edgier take on cocktails and small bites, while VERSA plays to the classic palate. 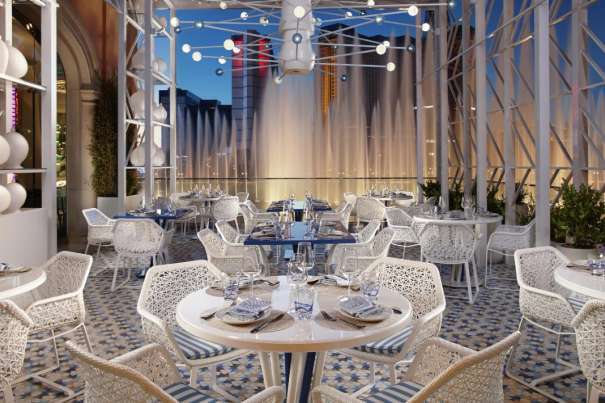 Libertine Social offers a breath of fresh air – and we’re not just talking about the ones you’ll take on the beautifully lit patio with a stunning view of Mandalay Bay Beach. 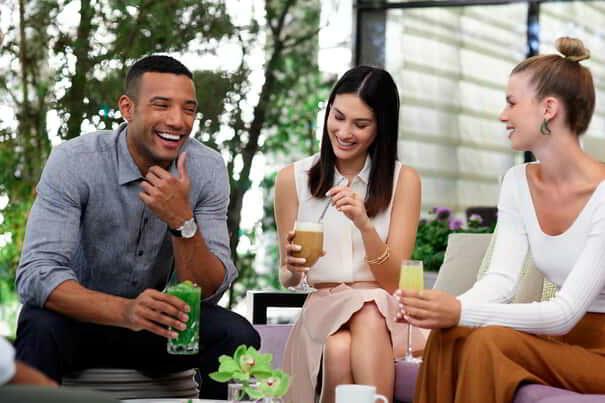 The lounge’s living-room feel exudes a relaxed vibe encouraging people to socialize. DON’T MISS: A Queen’s Park Swizzle, Trinidad’s answer to the Mojito, “swizzled” with a forked branch from the Quararibea turbinata tree to create a delectably frosty concoction. Grab a pitcher and make new friends. One way to describe Foundation Room? Top-tier. High atop Mandalay Bay, this luxurious balcony features a breathtaking view of the glittering lights along the Las Vegas Strip. Oh, and the drinks are phenomenal too. DON’T MISS: The Nibbles & Sips Happy Hour from 5 p.m. - 8 p.m. Offering $10 small plates and $5 cocktails and wine, you can sip, nosh and watch the sun set from your perch on the patio. It’s pretty easy to party under the stars at Skyfall – you feel so close you can almost touch them. But the amazing 180-degree views are just one reason to visit. The Skyfall party amps up in tempo as the night progresses. You’ll dance the night away as DJs spin upbeat house and dance music mixes. DON’T MISS: Sunset Hour from 5 p.m. - 7 p.m. for specialty cocktails and bar bites from neighboring Rivea. If you love an outdoor bash with good friends, cold brews and plenty of games, take a seat at a picnic table right along the main thoroughfare of The Park. With an eclectic beer program featuring Vegas-local breweries alongside beloved domestic and international all-stars, it could take you a year to try each one. 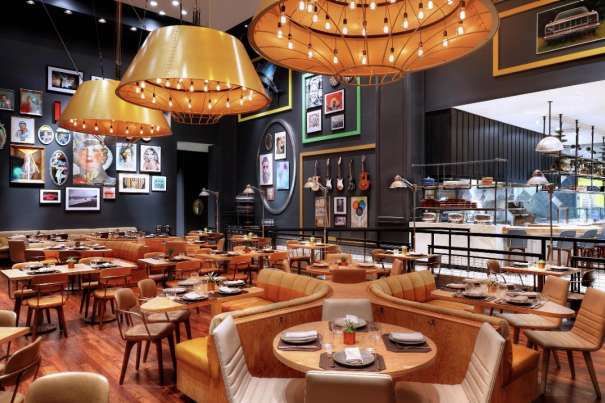 Work your way through the list as you rock out to live music Thursday - Sunday. 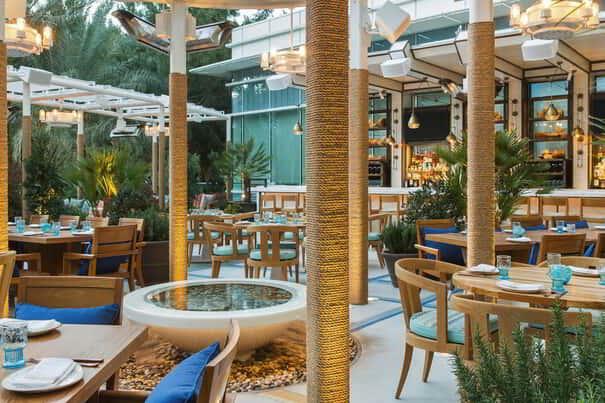 RHUMBAR’s plush patio is so swanky you’ll swear you’re in Miami Beach. 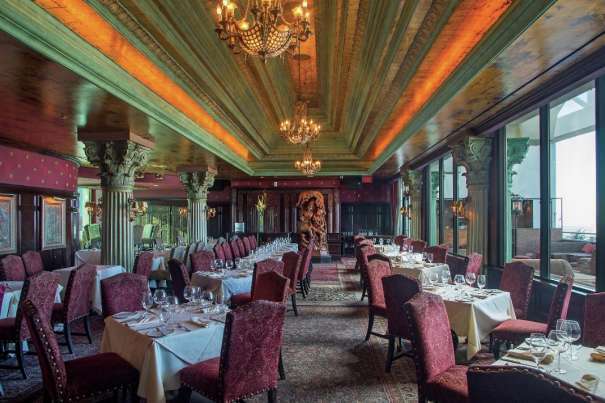 Offering a picturesque spot to socialize, sip cocktails and smoke cigars, you’ll also find an excellent view of The Strip and The Mirage’s famous Volcano. And nightly entertainment to keep you dancing under the stars. DON’T MISS: An authentic humidor and extensive hookah list that give smoke aficionados and novices a chance to enjoy flavors from around the world. No one throws a party like the Irish! And Nine Fine Irishmen throws one on the patio every single night. 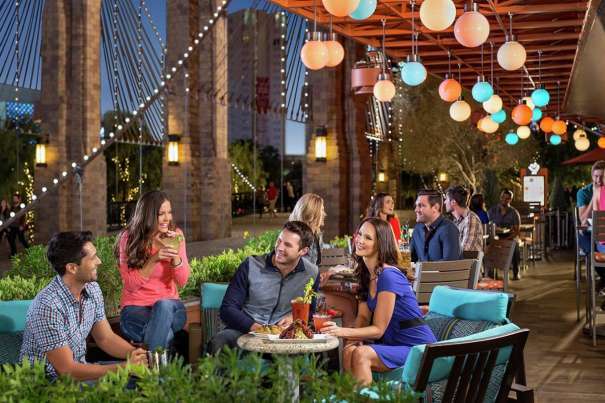 Located on the resort’s Brooklyn Bridge, which puts you smack dab in the middle of all the energy and excitement of The Strip. This Irish pub features authentic dishes and classic stouts on tap as well as Irish song, dance and storytelling every night. 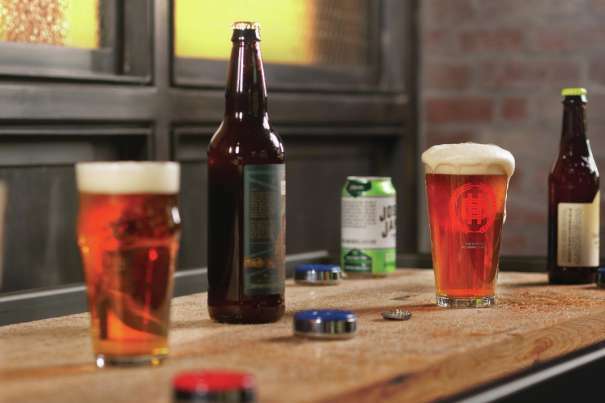 DON’T MISS: The Draft Master table featuring two taps that allow you to refill your brew at will. If you can’t keep up with the Emerald Isle-inspired shenanigans next door and want something a little more low key, try Tom’s Urban. 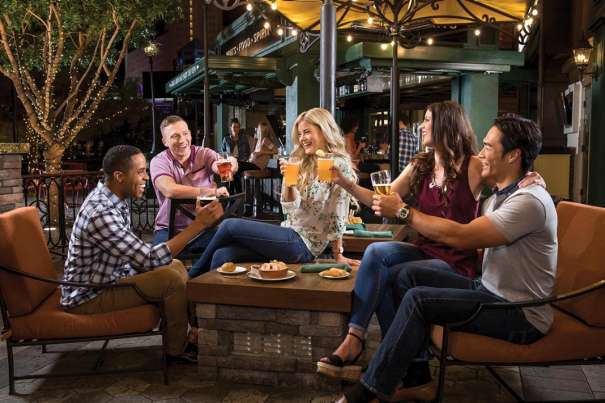 The cushy patio seating invites you to settle in for prime Strip views and ideal people watching. Tom’s serves up a large selection of handcrafted cocktails, craft beers, fine wines and Urban Spiked Shakes – letting you have your dessert and drink it too! These adult shakes satisfy the desire to have a cocktail and a sweet treat all at the same time. DON’T MISS: The creative signature to-go drinks in two sizes: Big and Tom’s Size.